Matrix Logic Corporation is a national integrator of Enterprise Content Management (ECM) solutions for law firms, corporate legal departments, government agencies and private businesses. 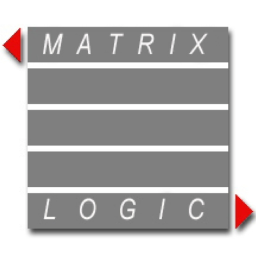 Matrix Logic is the worldwide leader in the production of Livelink ECM eDOCS DM administrative utilities. These utilities were developed as a result of our real world experiences in installing, administering and maintaining eDOCS DM products and make the task of systems administration easier and less time consuming. Matrix Logic Profile+ presents a totally new face to the eDOCS forms with a modern look and feel and allows and unprecedented amount of control and customization to the form while retaining the ability to easily design both simple and more complex forms. Matrix Logic Guided Searches are a new way of allowing users to find documents by metadata browsing with only a few clicks. Guided Searches have been an integral feature to our WirelesssDMS products for a while and have now come to the desktop and DM Extensions! Matrix Logic Sharepoint Service for eDOCS DM allows you to export and import your DM documents to a Sharepoint site. Simple client side solution! Matrix Logic Corporation, a long-time OpenText partner and integrator of Enterprise Content Management (ECM) solutions announces Legal Solution Suite for eDOCS RM.